They say the best things in life are free, and morning sunlight is no exception. There’s nothing quite like the smell of a crisp morning, and when the sun makes its way across the horizon, it hugs and caresses you with a ray of warmth that reminds you that today is a new day, and it’s never too late to start fresh. Maybe, so let’s get to some hard facts, shall we? In this article, you’ll learn all about the importance of morning sunlight and how this free resource can do wonders for your health. There’s more to the morning sunshine than just warmth and the ability to start over each day. There are bona fide biological miracles that the sun provides us with every day. For example, bare skin absorbs the sun’s UV (ultra-violet) rays and processes them to allow the body to perform vital functions like keeping us healthy by fighting off infections and disease, strengthening our bones, and preventing inflammation. All of this happens without us having to do an exercise, take a pill or invest in some fancy kitchen appliance to make special smoothies. There is a catch, though. The exposure has to be direct sun-to-skin contact. That means no sunscreen. Also, a large portion of your skin needs to be exposed. Wearing a turtleneck, jeans, and a beanie won’t do as much good as sporting a pair of shorts and a tank top. Sunshine and Vitamin D are often used interchangeably for a reason. Our bodies rely on the sun to help us produce this vitamin. The only other way to get Vitamin D is through a supplement, as it’s not as readily available from food, and it still requires sunshine for absorption. In addition to sunlight, many breeds of fish such as salmon, halibut, swordfish, and tuna also contain Vitamin D.
So, how much sun exposure is required to get the newly recommended dose of 8,000 IU? This varies by person but ranges between five and thirty minutes. Our immune system relies on Vitamin D (and therefore, the sun) to function at full capacity. The T cells that serve as the front line of defense against illnesses get support from Vitamin D to function. You’ve probably heard of “flu season.” What if one of the biggest contributing factors to the flu was weakened immune systems due to insufficient sun exposure? Insufficient amounts of Vitamin D has been linked to a whole host of other diseases and illnesses, which we’ll discuss shortly. Sunshine’s D vitamin is a necessary component that helps the body absorb calcium. As you know, you need calcium to maintain strong bones. This principle extends to children as well. Deficiencies of this vitamin in children have been shown to cause rickets, which is a disease characterized by bow legs and other bone deformities. As we age, we gradually lose bone density. Sadly, the process begins at the age of 35, which is actually rather depressing. 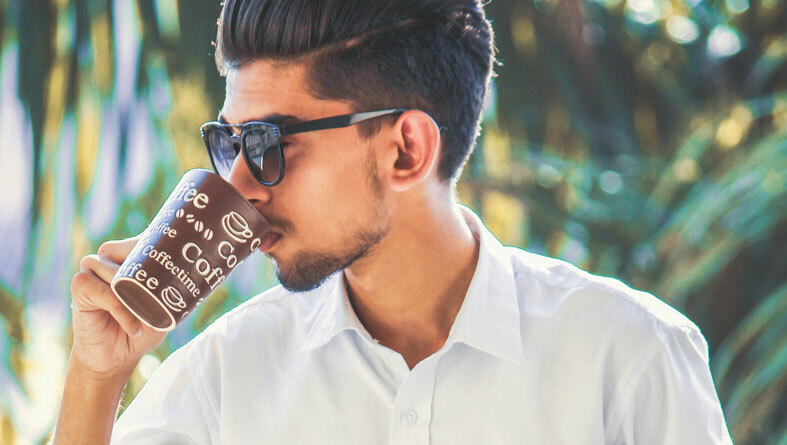 However, since sun exposure and Vitamin D help promote healthy bones, you can reduce your risk for osteoporosis and bone fractures just by enjoying your morning coffee outside. Vitamin D3 is in the family of D vitamins that are responsible for a lot of the functions we’ve discussed in this article, including eye health. It helps to slow down macular degeneration, which is a leading cause of blindness in senior citizens. It also reduces inflammation and improves overall function. One word of caution: avoid looking directly into the sun with your eyes open. Make sure you keep them closed as you look up! It turns out that sun exposure (specifically exposure to Vitamin D) helps speed up metabolism, encouraging the body to maintain a healthy weight. In addition to this vitamin, sun exposure causes our body to release nitric oxide, another metabolic regulator. If you avoid the sun, however, you might end up packing on the pounds. 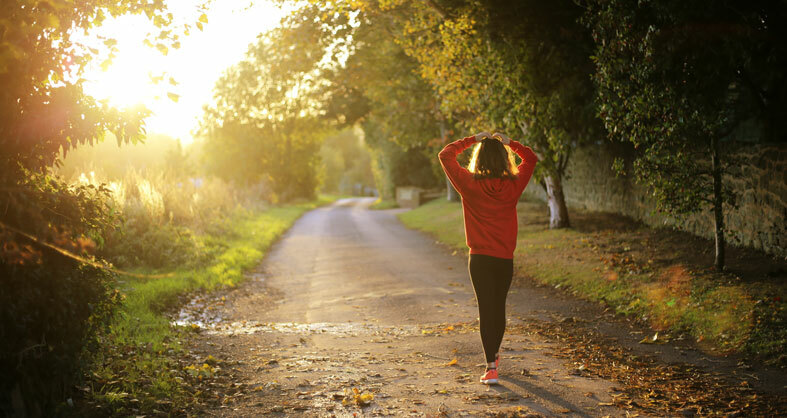 We can’t help but wonder if running outdoors between the hours of 8 a.m. and 10 a.m. with our arms and legs exposed could be the miracle weight loss solution we’ve been looking for! Seeing the sun at a set time each day helps to keep your internal clock in sync. Our bodies work on 24-hour circadian rhythms, and this affects not only our sleep-wake cycle but countless other functions including hormone and appetite. By seeing sunshine at the same time each day, it helps to set our clock. In turn, when it’s time for bed, we’re readier to fall asleep and stay at rest. Light and darkness are powerful biological indicators that signal us when it’s time to do something. We naturally feel more awake and energetic during daylight hours, and our internal clock tells us that when it gets dark it’s time for bed. Well, this concept is true for most of the population, except for some night owls. By seeing daylight in the morning, your body will produce less melatonin (the sleep-inducing hormone), and then increase production at night. You’ve probably heard of SAD (Seasonal Affective Disorder). This often happens to people in cold climates during winter when sun exposure is at a minimum. Fortunately, a few minutes of sunshine in the morning (or a lightbox) can pull us out of this funk. Sun exposure boosts serotonin levels, which is the brain’s happy hormone. While this isn’t a substitute for treatment from a psychologist or psychiatrist, don’t be surprised if you find that you start feeling better after experiencing a series of daily sunrises. Studies show that illnesses like autoimmune disease, asthma, diabetes, arthritis, and even cancer are connected to insufficient levels of this vitamin. Most people would probably agree that they’d rather sit in the sun for 10 to 15 minutes a day instead of suffering from one of these illnesses. If you’re not wearing sunscreen, it’s wise to limit exposure to about 10 to 15 minutes per day. People with naturally darker skin may be able to safely extend this period to 30 minutes, and even up to two hours. However, fair-skinned individuals should start with 10 minutes a day and see if they can build up to longer periods. Morning sunshine between 8 a.m. and 10 a.m. is ideal. The hours after 10 a.m. and up until about 4 p.m. are known to have stronger, more direct rays. Being outdoors unprotected during this period increases your risk for sunburn and skin cancers. If you do need to be outdoors during peak hours, we recommend slathering sunscreen on exposed areas. 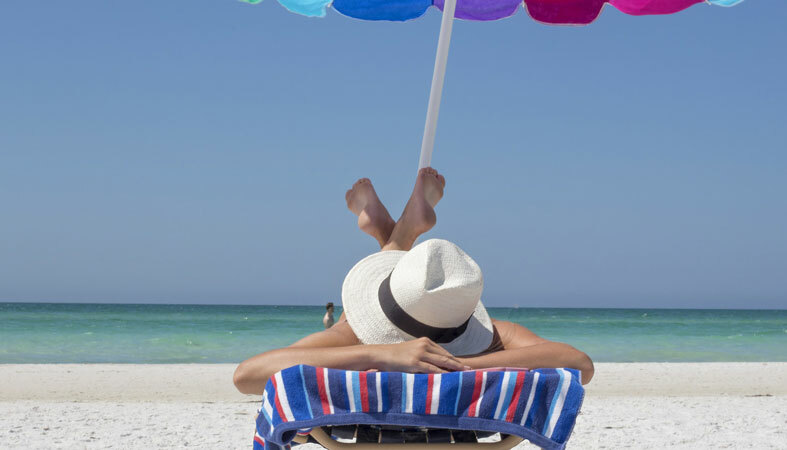 A strong SPF of 30 to 45 is best to keep you protected. Another option is to limit your duration of exposure to just a few minutes if you’re outside when the rays are at their peak. In order for the sun to do its thing, your skin has to be exposed. It’s not enough for just your face and hands to experience the rays. Ideally, most of your body, or at least a portion of your arms and legs, would see the light. Some doctors, including cardiologist Dr. Jack Wolfson, even advocate frolicking naked to get full exposure to the morning rays, but we won’t go that far. What are the benefits of morning sunlight during pregnancy? When you’re pregnant, not only are you eating for two, you’re also getting sunlight for two people as well! What is the difference between morning sun and evening sun? The types of light given off by the sun’s rays vary throughout the day. According to one credible opinion, the combination of UV and infrared light is at an ideal balance between 8 a.m. and 10 a.m. It’s during this time that the sun has the most concentrated healing properties and causes our body to release more endorphins. He theorizes that this is Mother Nature’s way of encouraging humans to get out and bask in the rays during this brief window. We’re fond of sunsets as well, so we wanted to make sure there was nothing sinister about being outside at this time of day. It’s true that evening rays won’t hurt you, but it doesn’t have the same healing effects as the hours directly following a sunrise. It’s no wonder that there are so many peppy songs about sunshine. It’s quite literally a miracle cure for much of what ails us, all thanks to Mother Nature. How Do Sleep Cycles Work? – What Are The 5 Stages? 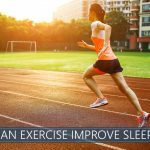 The Benefits of Exercise For Sleep - Does It Help With Insomnia?